Enjoy A Truly Japanese Lunch Experience with us! From 1 – 23 Nov, hand-make your own Kurobuta Don from scratch with our Resident Chef’s assistance, recipe, and ingredients provided for. Kurobuta Don – A Japanese rice dish with heavenly flavourful black pork. Bite into the super juicy and tender meat with onsen egg and Japanese rice, definitely a meal that you will not regret! 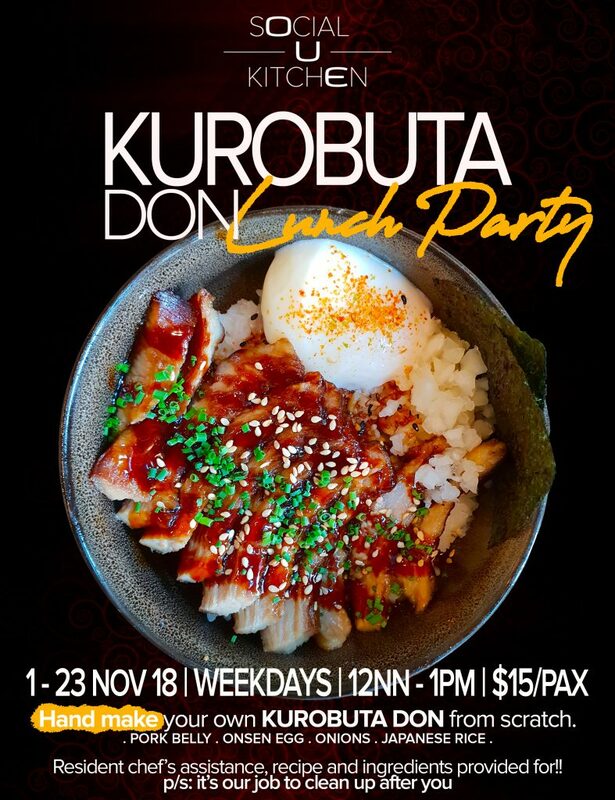 Head over to OUE Social Kitchen and in one hour, indulge in this gastronomic experience of making Kurobuta Don. Top up another $3/- for a glass of Coke, Sprite or Green Tea!